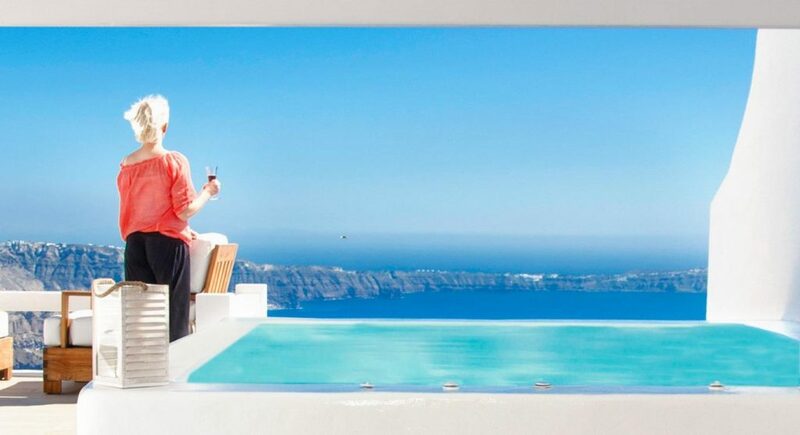 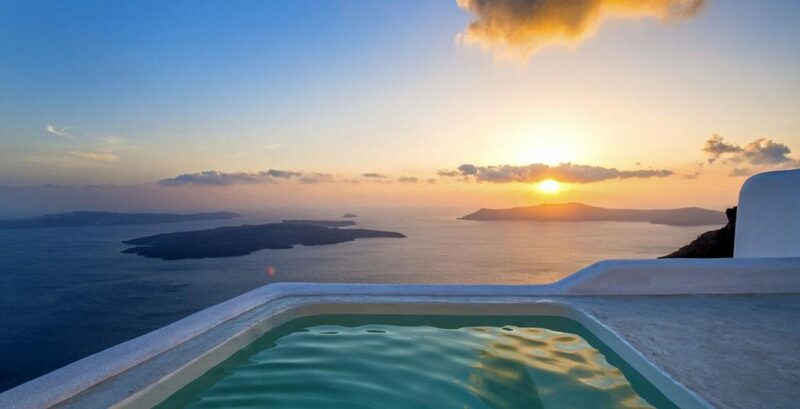 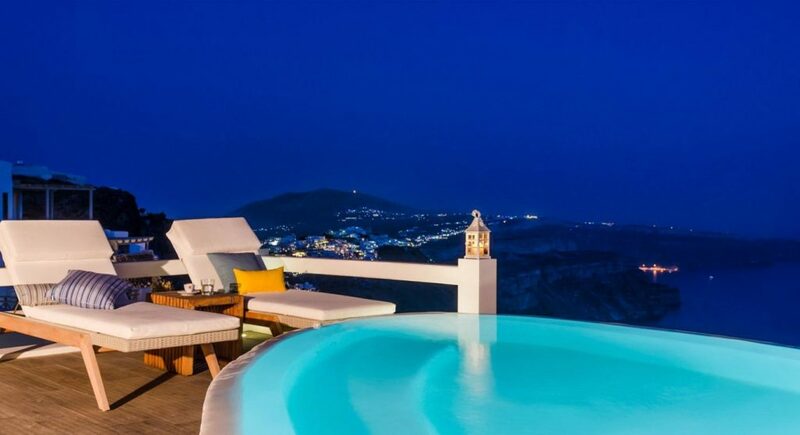 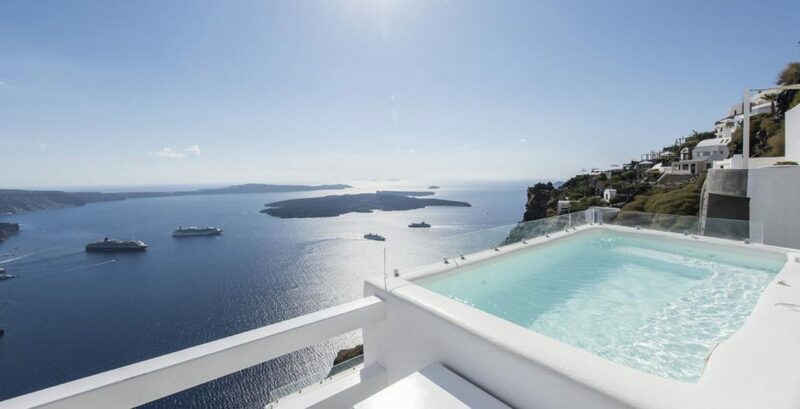 Description: Aqua Suites is a luxury boutique style hotel located in the area of Imerovigli, most of the suites feature private heated jacuzzi tub or plunge pool. 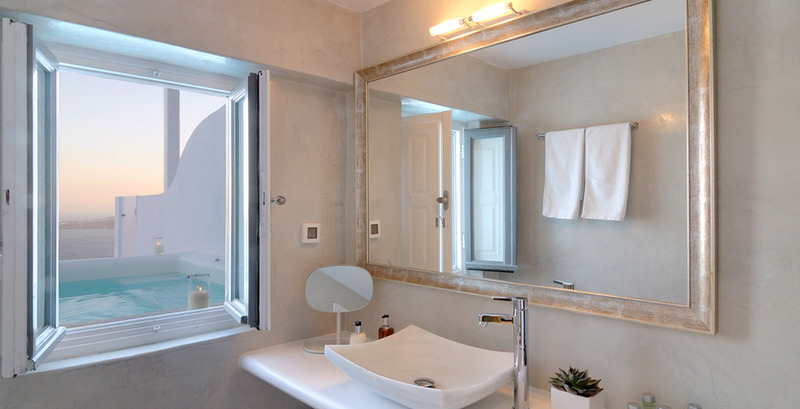 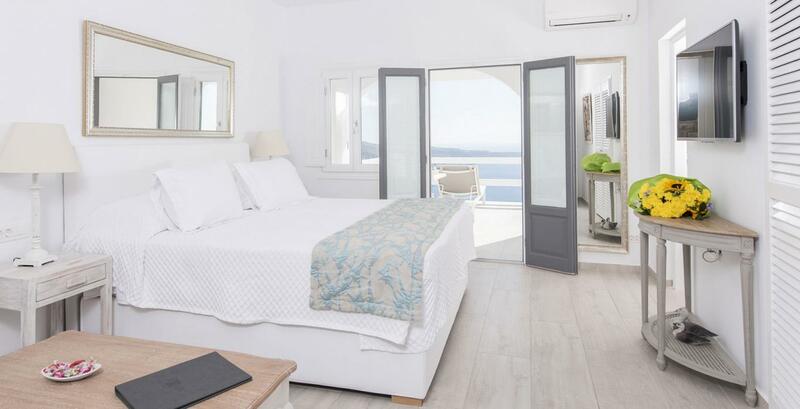 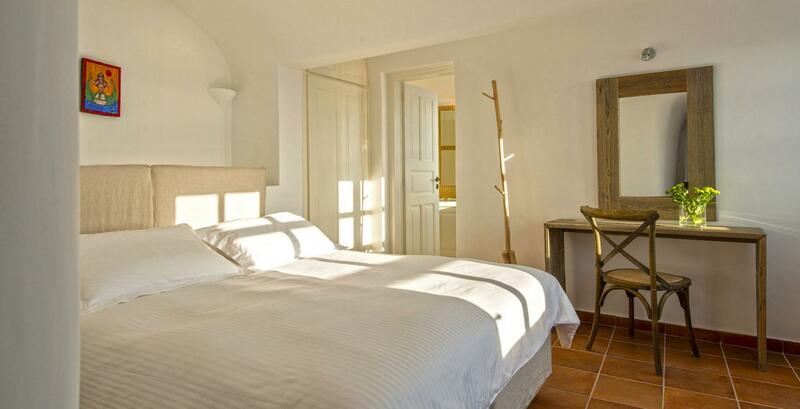 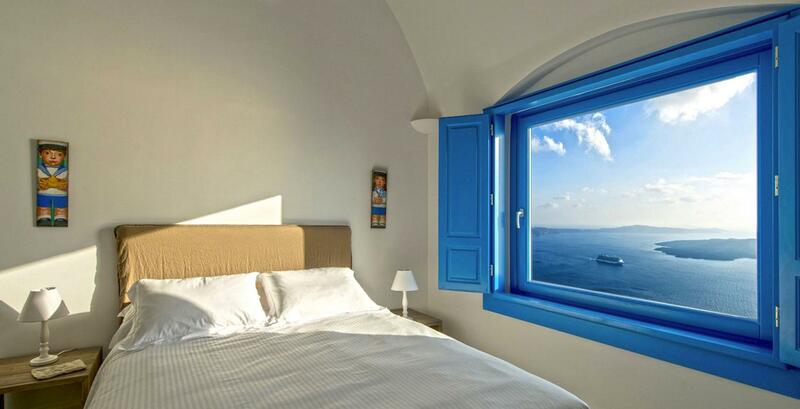 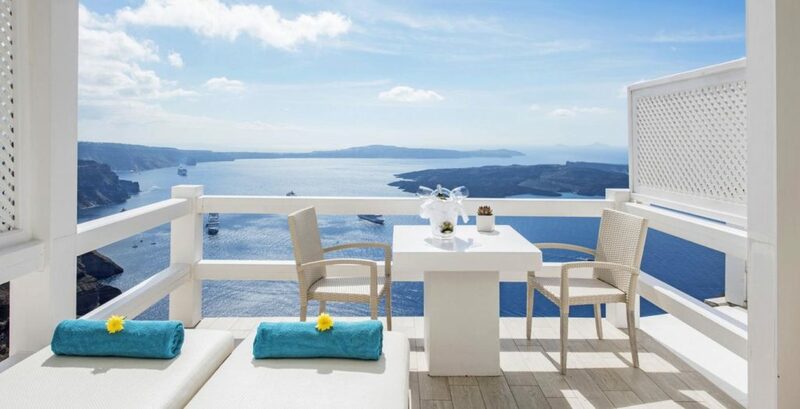 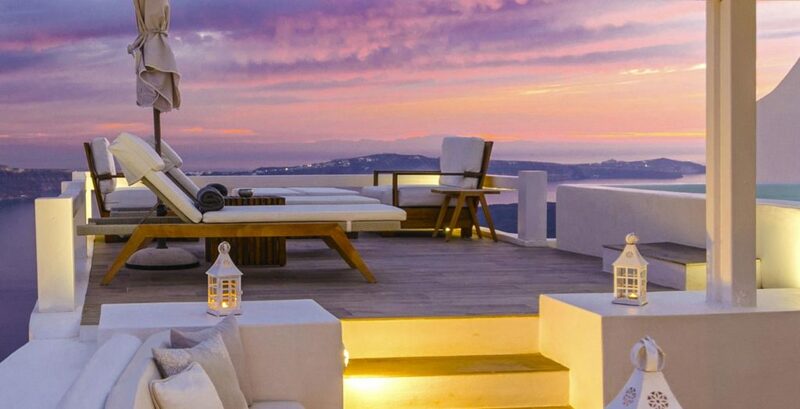 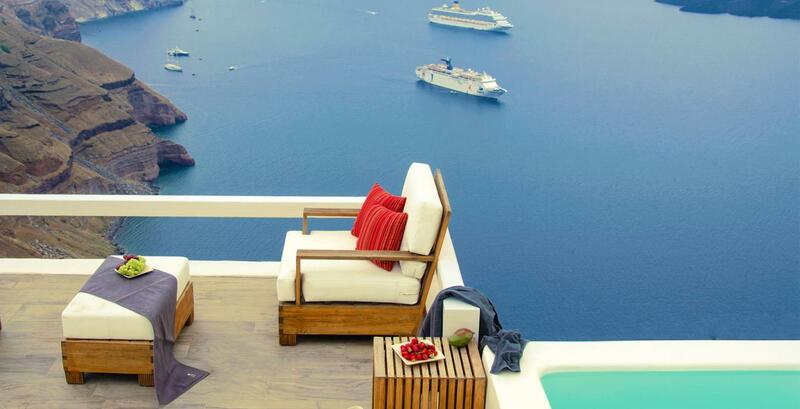 Each suite is tastefully furnished to a very high standard in typical Cycladic style. 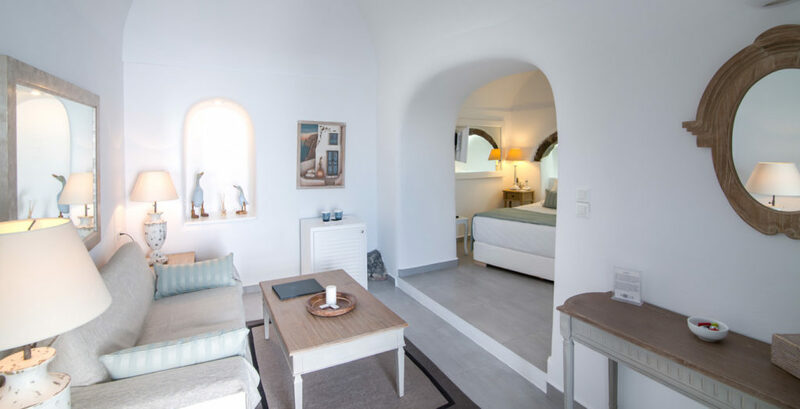 Facilities include a sitting area, designer bedding, free high speed WiFi connection, bathrobes with slippers, pool towels and sunbeds with parasols. 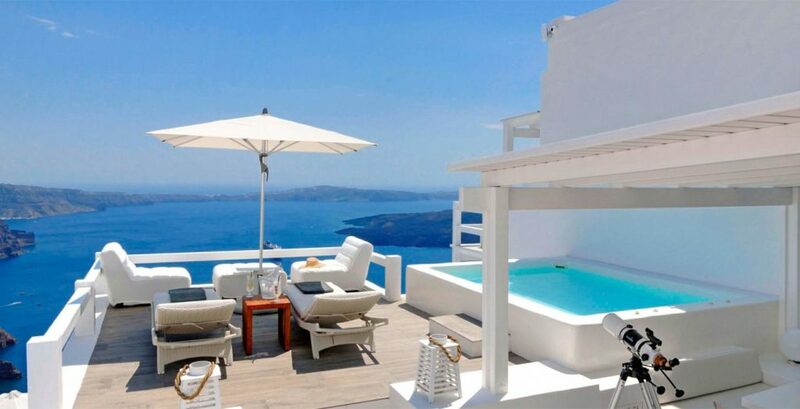 Twice daily maid service for all suites and villas. 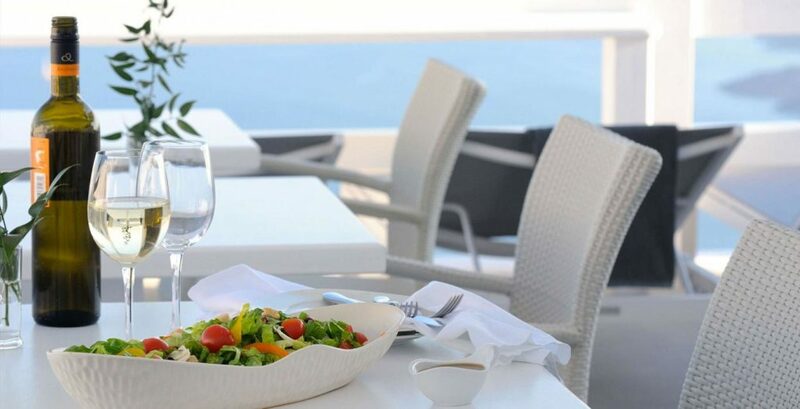 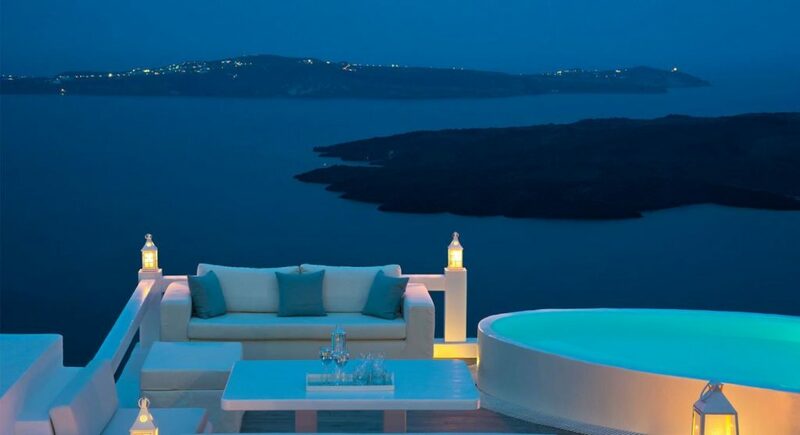 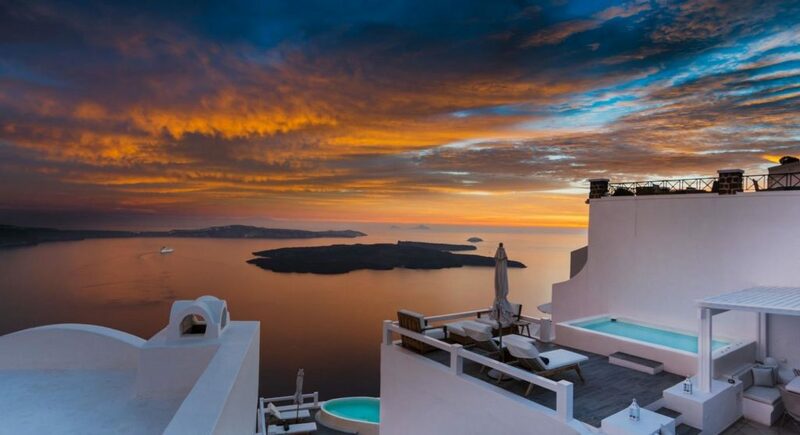 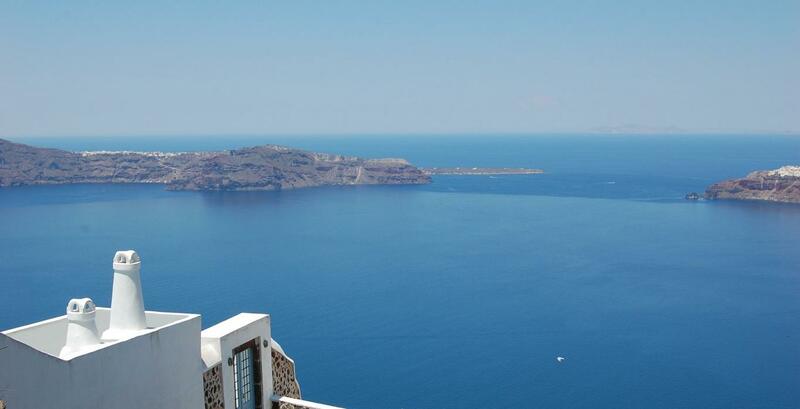 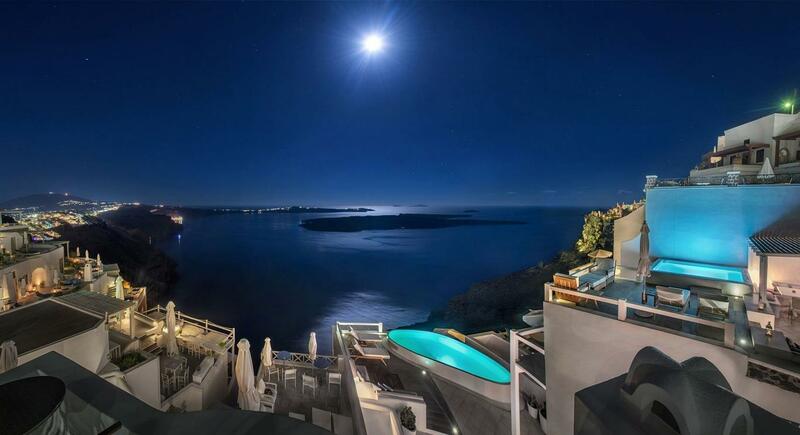 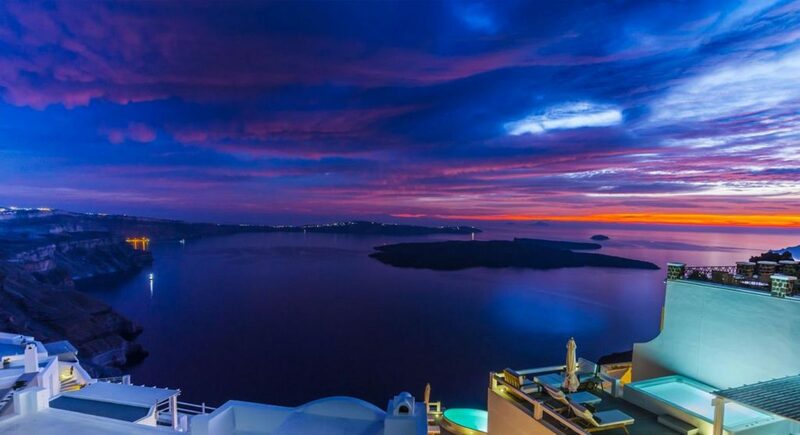 The hotel can offer a selection of tasty meals and snacks served with some of the excellent wines from the island of Santorini. 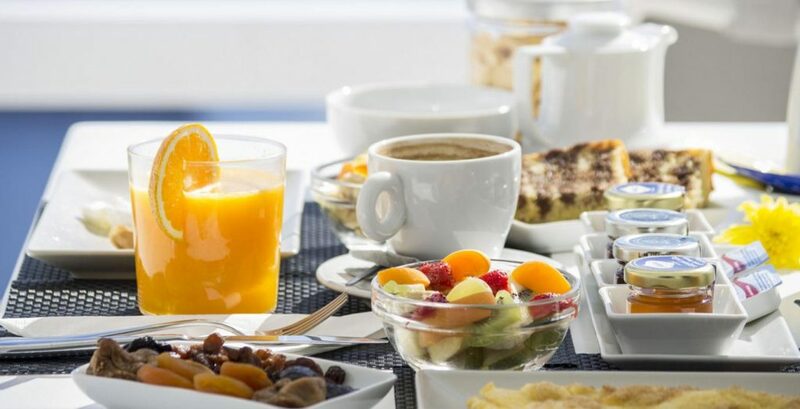 Breakfast served daily on guests private terrace.